Cousin Culo & Phi Unit, Cousin Culo, Phi Unit & Cousin Culo, Stlkrfxxx, Frank Ocean and more. This show was 43rd in the global indie chart. We bawl so soft in the mother loving paint. 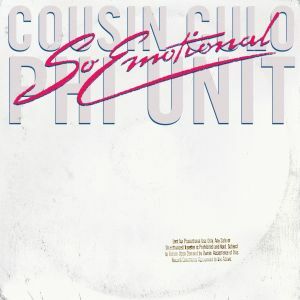 So Emotional is a collaboration between Cousin Culo and Phi Unit to bring out the softer, tissue friendly side of Moombahton. With heavy influences from tracks such as Dave Nada&apos;s Moombahton remix of Delorean&apos;s Stay Close and Munchi&apos;s Hope, we wanted to make an EP of emotional Moombahton ie Emoton. The So Emotional EP will be out on December 8th. This here mix exemplifies some of our favorite "Emoton" jams and a teaser for the So Emotional EP.